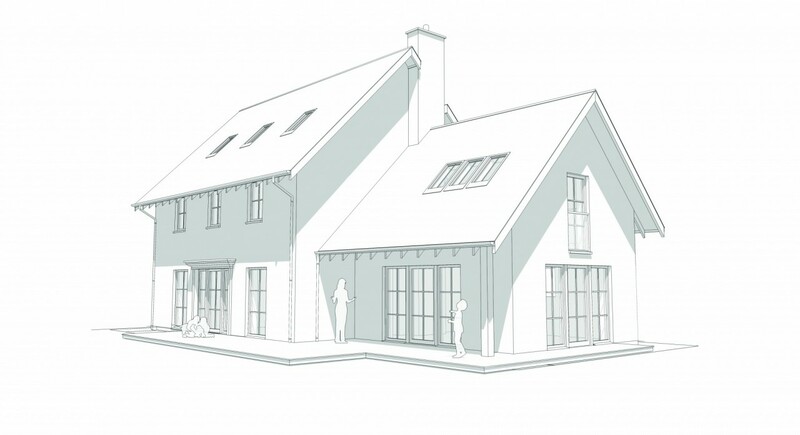 We designed a series of off-the-peg plans for houses with the self-builder predominantly in mind. 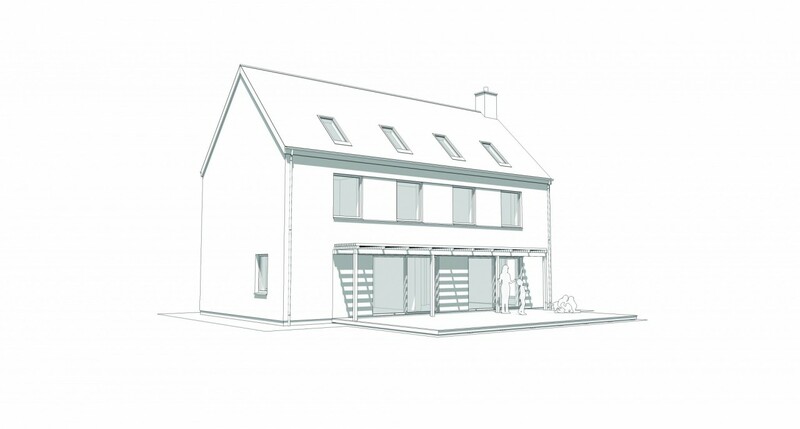 We are always looking for ways to make the house building and designing process simpler and easier for our clients. After exhibiting at the Home Building and Renovating Show we noticed that there was an option we should explore. 1. 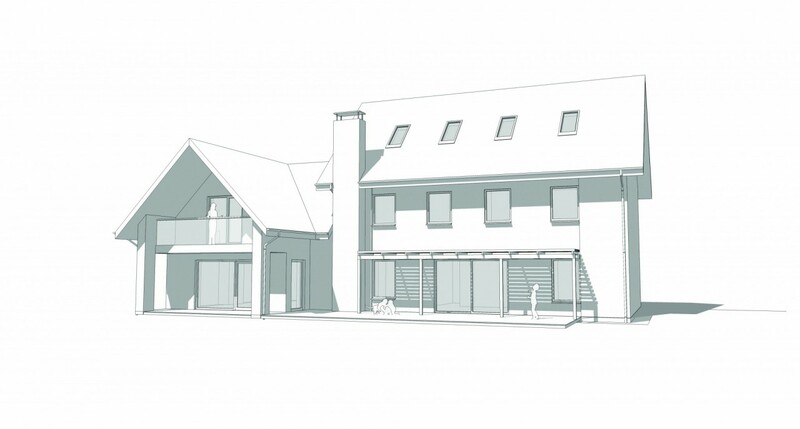 To go to an architect and commission a bespoke design with a bespoke construction system. 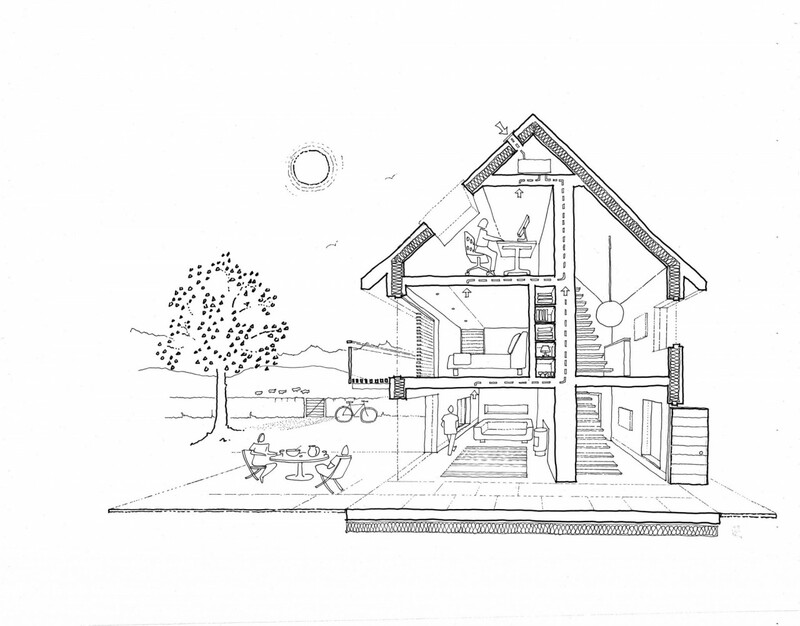 This can be a process which the self builder for various reasons does not want to embark on. 2. To go to a kit/system builder and have a controlled design with a controlled construction system. 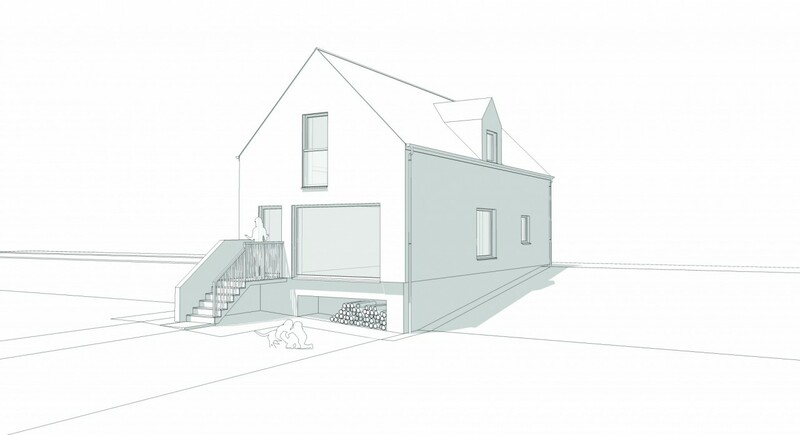 This process gives the self builder little control and little option for variation within the project. We wanted to offer a procurement option which is a hybrid of the above, a semi controlled design and a free construction system. 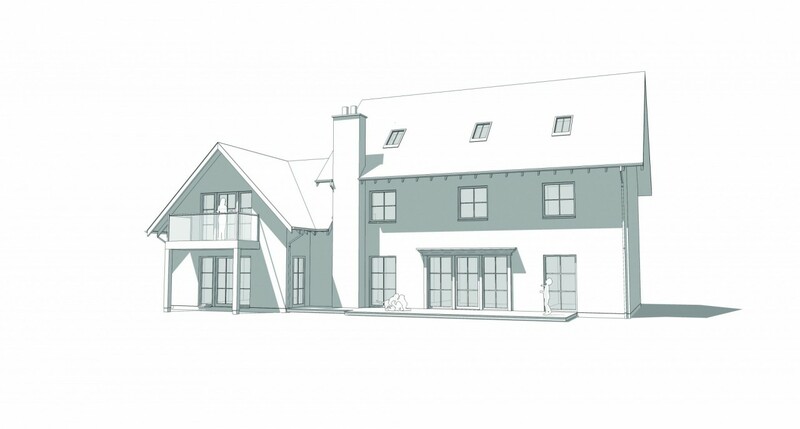 This means that by using one of our off-the-peg designs as the basis for you house design, the plan can be tailored within a framework. The construction system can be chosen according to the self builder’s preference. So it could be traditionally built, use a timber frame construction, SIPPs or whatever is required. The houses range in size from 100m2-300m2 in area, they have flowing and open plans and are filled with light. Materials can be interchanged according to the vernacular architecture of the area. 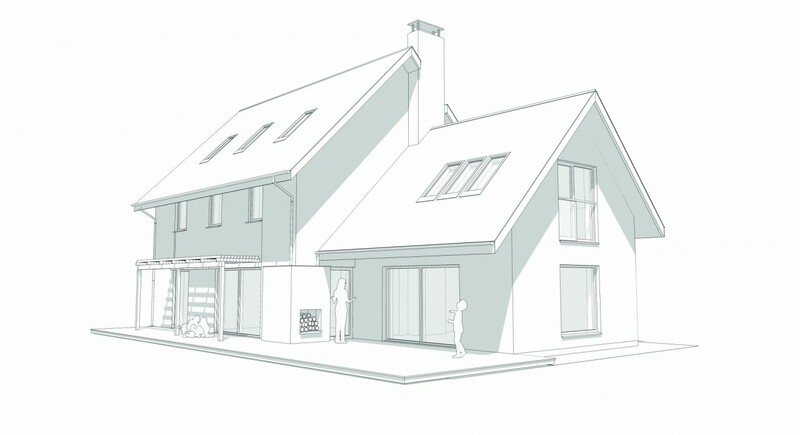 The plans can be purchased for planning permission purposes, they can be taken to building warrant stage and we can help you manage your self-build with as little or as much attention as you would like. Please contact us to discuss. A recent client had a spectacular site and wanted to maximise his site before he moved away and downsized. We were able to tailor an off-the-peg design very quickly. 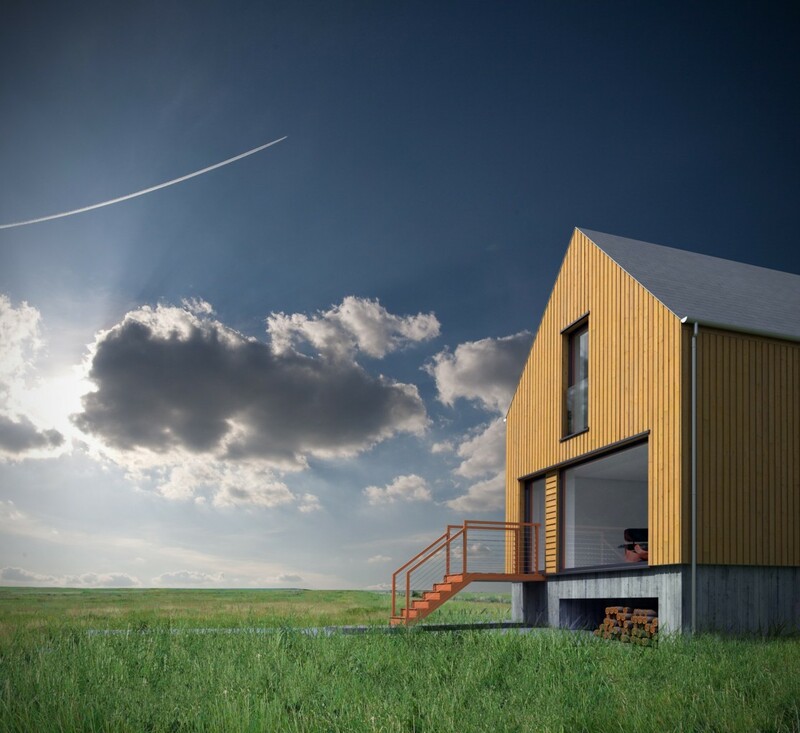 This new design successfully obtained planning permission for him in a sensitive part of the Loch Lomond and Trossachs National Park. This meant that the value of his asset had greatly increased and the solution was quick and successful.